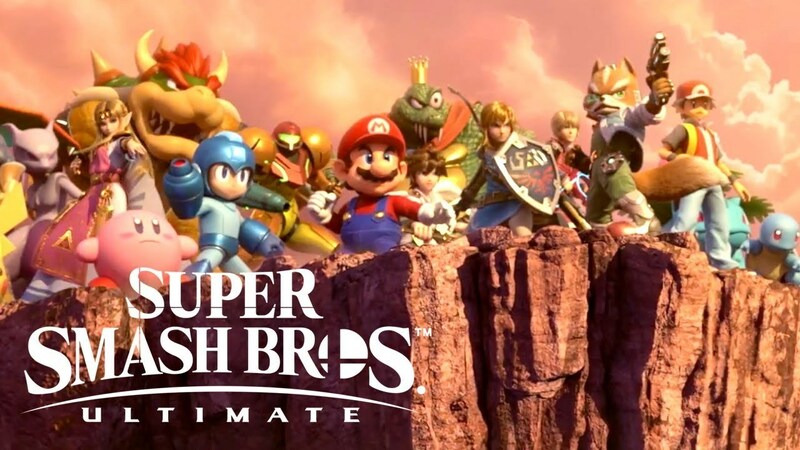 World of Light is an Adventure mode for the single-player section of Super Smash Bros. Ultimate. 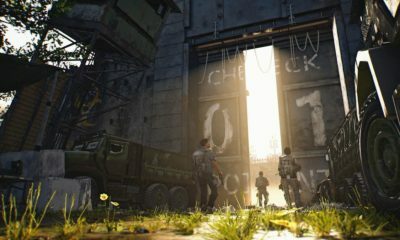 The gameplay is simple, you just need to run around on a map and play special fights with some characters, and kill them to unlock their characters. However, the game will only start you off with Kirby unlocked, which means you will have to search for any other characters which you want to play as and beat them to unlock each character. 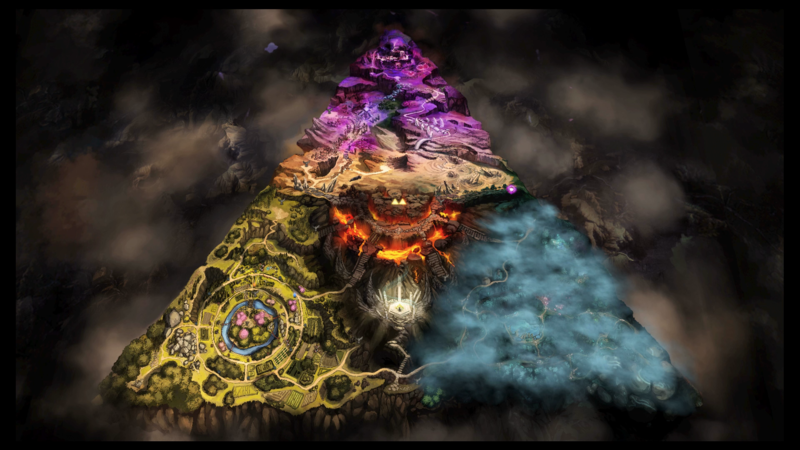 In this article, I will detail you for the locations on where you can find all the characters in World Of Light. Ryu, head to the south and encounter a mushroom area. Keep going south and toward the west, and you will find a body of water. Head north, here you will find a portal to the World Tour area. Now you need the Kapp’n spirit to cross the water to get to the portal, then you can find Ryu at the northeast of the airport. Pac-Man, you will find Pac-Man in the northwest region of the mushroom area. No need for any spirits or special things to unlock him. Olimar, you can find him in the bottom right part of the mushroom area, but you will need a Kamek, Lip or Kammy Koopa spirit to get to him. 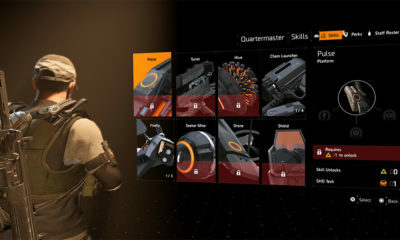 Solid Snake, you can find it inside the Metal Gear Base Dungeon, you need to enter a portal and interact with some computers to get it. Mega Man, is at right outside of the military base portal that Snake is in. Donkey Kong, head to the south and then immediately keep going east to find him. Inkling, head straight north, you will find him in the city area. Wii Fit Trainer, head deeper north into the city. Little Mac, he’s off to the left part of the city, but he’s blocked by a barricade. You will have to clear the power plant portal to access him. Pichu, head west from the city and into that shadowy forest, you will find him in a portal on the right side. Duck Hunt, you can find the duck in the bottom left of the shadowy forest. Lucas, exit the shadowy forest from the left side, and you’ll find Lucas in the mountains. Jigglypuff, head north to the River Woods. Yoshi, keep traveling north from the path you saw Jigglypuff on, and you will find Yoshi as well. Dr. Mario, the doctor is at the northeast of the city where Wii Fit Trainer and Inkling are found. Fox, you can find him on the north of the map, right below a beautiful heart-shaped lake. Pikachu, go to the right of Yoshi, you will find Pikachu on a small island surrounded by roaring waters. Mii Swordfighter, they’re along Sheik’s path if you go toward the right, they will be in the top part of the circular village. Isabelle, find her in the circular village to the bottom right, you will need to ride a bus to get to her, and also requires the Kapp’n (Wild World) spirit, which is next to Inkling in the city area. Lucario, find him in the mountain area where the huge crack of light is flowing, he’s in the north of the circular town and south of Pikachu. Captain Falcon, he’s at the racetrack, to the right of Villager. You will need Pico spirit to drive the race car and access him. Link, find him in the south along Villager’s route. Bowser, you can find him in a portal that replicates his own castle to the north, the Molten Fortress. If you follow along the mountain path where you get Lucario, or go toward the northeast from Yoshi, you will find the portal. Peach, she’s captive in the Molten Fortress which Bowser is in, after pressing some switches in the castle, you should be able to run and grab her. Ice Climbers, find them at the bottom of the icy mountain toward the northwest of the map. Falco, find him in the Outer Space, it’s located in the far North and west past the Frozen Mountain. Pit, find him in the Temple of Light Zone, to open that portal, you’ll have to hit three colored switches along the map. One is north of Fox, in the heart-shaped lake, another is near Pikachu’s spot at the river, and the final button is in the forest, near Donkey Kong was. Simon, he’s also in the Temple of Light with Pit. Samus, he’s on the other side of the bridge across the crevice of light. Game & Watch, you can find the retro fighter is deep in a Pac-Man-inspired maze, immediately after Samus. Pokemon Trainer, exit the Pac-Man maze from the south or from the bottom left corner and travel east along the road, you will find the trainer there. Diddy Kong, keep going north from Pokémon Trainer or take the right exit from the Pac-Man maze to hit a portal into DK Island, Diddy Kong will be waiting at the end of this area. Mii Gunner, you can find the customizable gunner on Alolan Islands on the southeast most part of the map. Toon Link, he’s also on the Alolan Islands, towards the north of Mii Gunner. Enter the portal to Forest Hill area to find him. Shulk, keep going north of the DK Island portal, and you will see a smaller mountainous area with a waterfall, Shulk is at the top of the mountain. Zero Suit Samus, go north from Samus, instead of entering the maze and keep heading that way until you hit the fiery volcano, Zero Suit Samus is up along the northern part of the area. Ness, you can find him at the brown warp pipe that’s next to the southwest exit of the Pac Man maze. King Dedede, you can find him in the Gourmet Race, an interior zone located in the northeast, in the Floating Islands region. Once you beat up Galeem and enter the dark portal which stands where he was, you will able to enter a whole new area. Incineroar, you can find this wrestling cat along the left path once you get into the Dark Realm. Lucina, you can find her tucked away out of sight by a mess of clouds on the right side of the Dark Realm map. Rosalina & Luma, the galaxy duo can be found on the Dark Realm’s overworld map toward the north. 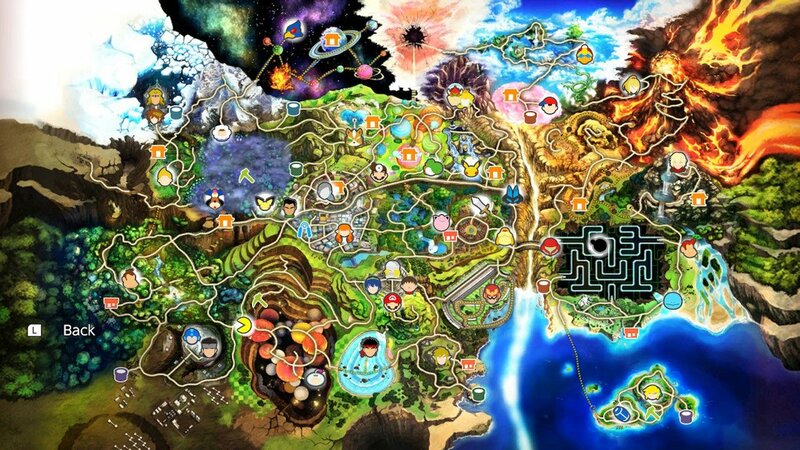 The Sacred Realm is on the left side of the map and is Zelda-themed. 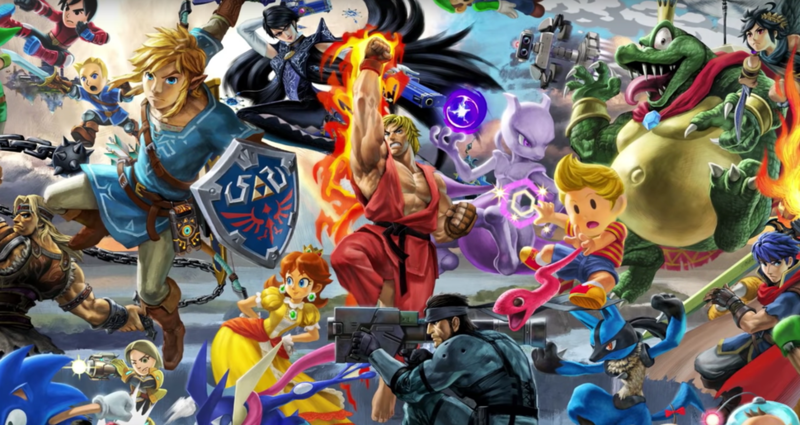 To complete the area, you have to unlock Young Link, Zelda, and Ganondorf, though the rest of the fighters are optional. Young Link, find him in the Lost Woods in the Sacred Realm on the left side of the map. Chrom, he’s on the Sacred Realm Dungeon, in the Lost Woods through secret treasure chest path. Zelda, you can find her on the left side of the area, she’s blocked off by rocks, but you can remove them by making the “clock” on the left show the time 12:10. Mii Brawler, to make Mii Brawler appear, you must set the clock to show 4:40. Sonic, near Master Sword toward the center of the area. Cloud, you will find him behind Sonic, though blocked by rocks. Ganondorf, he’s on the Sacred Realm Dungeon, far North at top of Gerudo Fort. Bowser Jr., you can also find him at the top part of the map, close to Ganondorf. This area is based on the Castlevania series and includes a handful of puzzles which require shooting collected cannonballs at ghosts to make them disappear. Daisy, you will find her behind the spooky ghost. Wario, you can find him behind a platform you can rotate. After fighting Daisy, move to the right and there will be a switch sitting there, flip it and continue on to get Wario. Ridley, you can find him in the caverns below the castle. Ken, find him in the underground mine area with cannons, flip a switch to make the bar in the top right rotate. Fire the cannon aimed at the bar you just moved, and the ball will bounce off and hit a ghost above, freeing Ken. Dark Pit, once you’re in the area with many rooms (near Ken), you can find Dark Pit by entering one of the top rooms, which puts you on the roof. Richter, he appears in front of Dracula Boss when all the fighters are defeated. Robin, find him in the Clock Tower before Dracula. 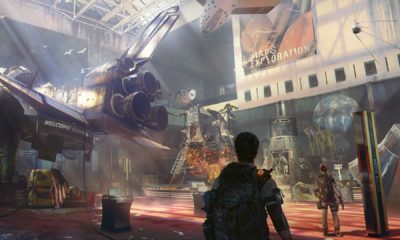 The next area features a portal that doesn’t directly seem like it’s based on any one game. Here you will have to you to pick a spirit to answer a question, if you get the answer wrong, you can still proceed, but you won’t get rewarded with a treasure chest. R.O.B, when the road splits in the quiz area, go right. R.O.B will be waiting past a spot that asks which spirit sells furniture. Greninja, he should appear just along the path in the quiz area. Wolf, you will find Wolf at past a set of questions near the beginning that ask which of the spirits is a scientist. Ike, proceed further in the quiz area, he should be right past the question asking which spirit is Chrom’s sister. Meta Knight, you will find him once you continue up the path past Ike. Corrin, he’s beyond a legend-tier Azura spirit. King K. Rool, find him on the upside-down ship in the far Northeast. Mewtwo will be on the red tree branches to the Northeast. Luigi, this often forgotten brother is far back in the quiz-zone map, off to the side on another hidden route, blocked by a legend-tier retro Link spirit. Beat this spirit and keep walking toward where it stood to travel along a route and finally unlock Luigi. 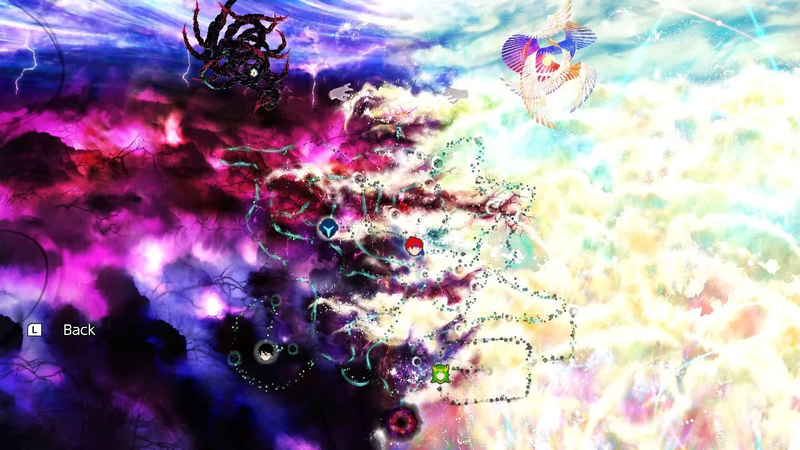 The last area in World of Light which has a large sprawl of fighters along plain paths. They twist and turn, but there are no gimmicks or hidden paths anywhere. Dark Samus, find him in the middle area of the map, on the dark side. 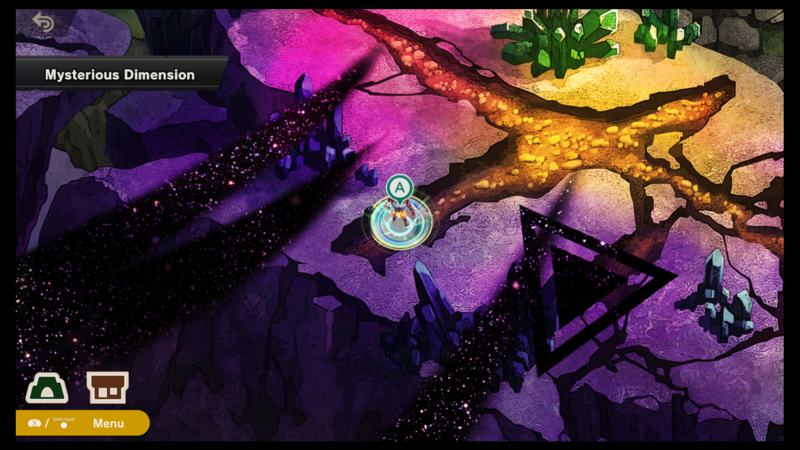 Roy, move toward the center of the map while staying on the light side, and you will find him. 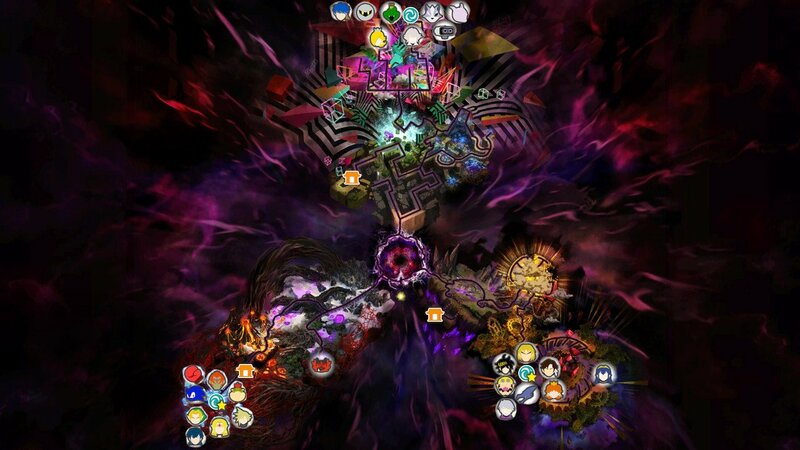 Palutena, find her in the bottom left corner only after you have beaten Crazy Hand, which is the hand on the dark side, behind Dark Samus. Bayonetta spawns only after you beat Master Hand, you can find her on the light side, behind Roy. Well then, have you unlock your favorite character yet?